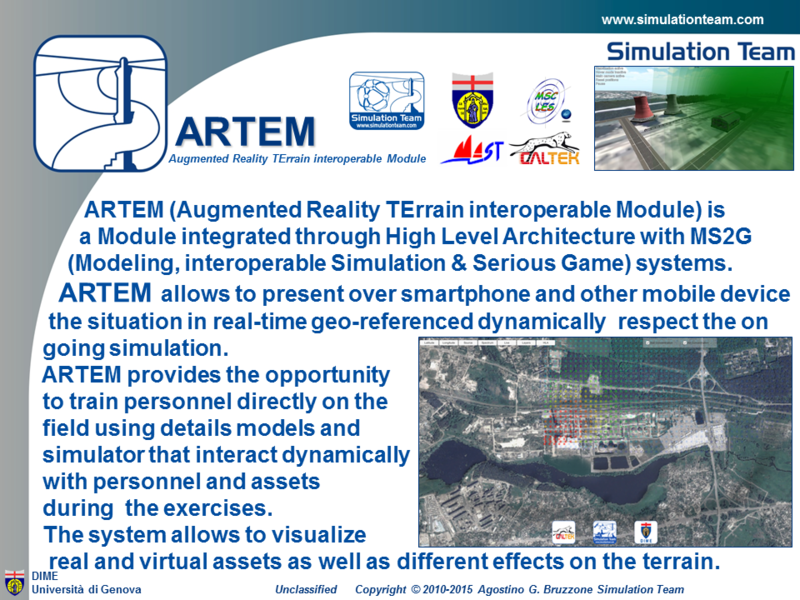 ARTEM (Augmented Reality TErrain interoperable Module) is a Module integrated through High Level Architecture with MS2G (Modeling, interoperable Simulation & Serious Game) systems. ARTEM allows to present over smartphone and other mobile device the situation in real-time geo-referenced dynamically respect the on going simulation. ARTEM provides the opportunity to train personnel directly on the field using details models and simulator that interact dynamically with personnel and assets during the exercises. The system allows to visualize real and virtual assets as well as different effects on the terrain.